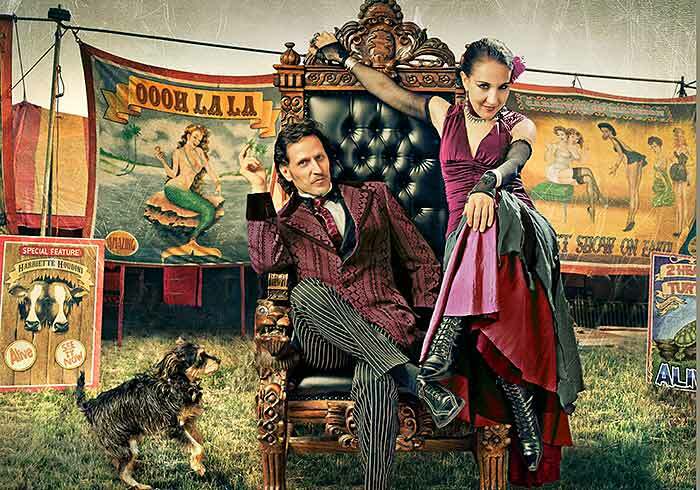 Carnival of Illusion-An Evening of Magic, Mystery & Oooh La La! Experience Arizona's FAVORITE show to Laugh, Have Fun and Celebrate! This 60-second film above combines both the grand and the intimate nature of our shows. Go full screen for the epic Steven Spielberg experience. CHECK AVAILABILITY! I highly recommend for date night, family night, special celebrations, or even go by yourself. They have a great style and personality to their act that you won't find anywhere else. It was entertaining, something different, and new to do for a date night! Absolutely go to the show! It was such a fun time! 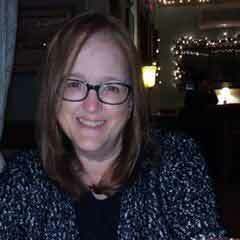 I had a smile plastered from ear to ear the entire evening. Not a single person left the room without a smile. The show was amazing, very entertaining, and very interactive! Roland's illusion skills are exceptional and Susan is the perfect partner to counterbalance him. Splendid Show! A few of their illusions simply blew our minds! Perfect evening! The show is very well done. We loved the show! Some of the tricks really blew me away, I was audibly impressed! Old world charm - a magical experience - highly recommended! Great show, wonderful to be so close and things just "happen" that you can't explain. Roland and Susan are true professionals that always deliver jaw-dropping magic. So much fun! Roland and Susan you were Amazing!. So many mystifying tricks and illusions with fun, laughter and audience participation! Masterful with the art of illusion yet far different than what one typically expects from a magician. I loved the audience participation. My dad was on stage and it cracked us up. We attended this for our 4th anniversary, and we had the most amazing time. There were lots of laughs and lots of magic. Would definitely recommend to a friend. Saw this show in Tucson a few years ago and LOVED it! Roland and Susan are amazing! The Carnival of Illusion show was a real experience! Highly recommended. Definitely would recommend for all! Come and be amazed! An amazingly enjoyable night of fun and magic. What a great time to spend with family or friends. Hurry, Shows SELL OUT!Select your City and Date for pricing. Where Is Carnival Of Illusion? Yes! Parties of six or less may exchange their tickets to another date with a minimum of seven days notice and a $10 per person fee. Call the box office at (480) 359-7469 to request an exchange. All sales are final. No refunds can be issued. How do I receive FREE invitations and discounts? Join the 18,000+ others who signed up for our FREE VIP NEWSLETTER and receive occasional discounts, invitations, and funny behind-the-scene stories. Subscribers recently received FREE tickets to our performances at the World-Famous Magic Castle, an invitation only private club in Hollywood. Why is there an 8-year-old age limit? Even though this is a "clean" show, it is for the "young at heart", not the young. Shows are for audiences 8 years and older. We do not offer booster seats so if height is an issue, we suggest raised or tiered seating. OR, here's your excuse to get a babysitter and have a fun kid-free night out just for YOU! What is the cost of tickets? Pricing depends on location and availability so click a location and time above. There is a per ticket service fee of $4.00 for Tucson, $4.50 for Phoenix, plus appropriate city and state taxes. (Sorry we can't make those disappear!) Tickets purchased in advance may cost less than shows nearly sold out. Pricing does not include beverages or meals but does include a souvenir playbill and hand-printed tickets as your entry to a magical evening! How do I buy Gift Certificates? GIFT CERTIFICATES for PHOENIX or TUCSON can be purchased for the person who has everything! BONUS: Gift certificates are not date specific allowing your guest to select the date AND location that works best for their schedule. Yes! We offer discounts for groups 10 or more for select shows. Remember to include family, friends, colleagues, and community groups. For more information on discounted group tickets CLICK HERE. The show is approximately 1 hour and 30 minutes including a short 10 minute intermission. No, however there are many restaurants within a short driving distance to all theaters. Do you offer special overnight room rates? PHOENIX guests receive spectacular overnight room rates at the historic Arizona Biltmore Resort, a Waldorf Astoria property. In addition, the resort and parking fees will be waived at the end of your order. Business casual or better. Please, NO flip flops, shorts, t-shirts or beach attire. At the Arizona Biltmore, we have pre-paid your valet parking and self-parking fees (a $27 value). Tucson and Tempe parking have dedicated free parking lots. Mesa has nearby parking on their surface lot, adjacent streets, and on several public parking lots within an easy two-block walk. 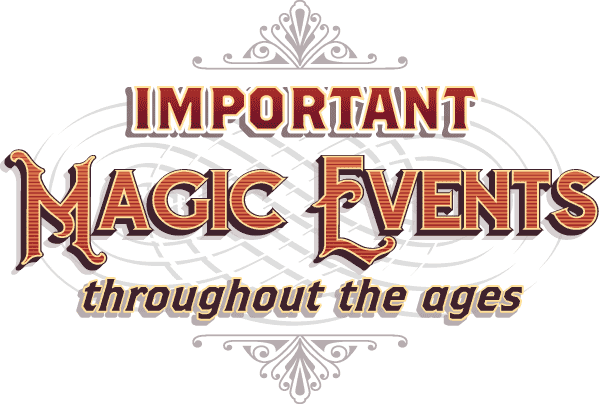 Carnival of Illusion provides all patrons access to our shows. For Mesa and Tempe shows, please call our office as we have reserved seating. For Phoenix and Tucson, please write a note at the end of your purchase so we can make accommodations. You can always call us, we're here to assist! Four weeks notice are requested for an ASL interpreted performance. "Behind the Magic" shares (EXPOSES????) the never seen attention to detail that occurs even before the Carnival of Illusion entertainment begins. We think you'll love the groovy music too, so... turn up the volume! Do something different, celebrate in one of our boutique theaters! Grab your friends and family and head for a fun memorable evening. Write a note at the end of your order to recognize your special occasion or date night and we'll give a shout-out in the show! No smoke, no mirrors, no divas. If you're expecting large-scale Vegas pyrotechnics, showgirls, wind machines, Tyrannosaurus Rex, or "hip" & "cool" attitudes... this is NOT your theater show! BUT, if you're up for live show entertainment with a sweet nostalgic feel, a "vaudeville road show without the dust" then STEP RIGHT UP! Everyone gets a great seat. We've created a cozy setting to allow you and the rest of the lucky ticket-holders the opportunity to "feel the magic". The performers are NOT on a raised stage, so the magic happens inches from the front row! You found the best thing to do this weekend and... SHOWS SELL OUT! This is a "clean show" for the "young at heart", not the young. Recommended for adults and teenagers, minimum age is 8 years old. (Booster seats are not available, raised or tiered seating suggested. No lap seating allowed, everyone must have a ticket.) Get a babysitter and enjoy a fun adult date night out! Once upon a time, there was an intimate illusion show, a place so kind to their guests that people traveled near and far for the magical entertainment. This was a rare and happy theater where audiences had so much fun, they never asked what to do this weekend again. It was a delightful night out and everyone had a swell time! Looking for a dinner theater with a great meal? Good luck! With a variety of neighborhood options nearby, you won't have to eat a mystery meat entrÃ©e with bland veggies again. From fast-food to gourmet, choose what YOU like. It's better than a dinner theater! Start Exploring & Discover the Magic! Looking for a magical gift? 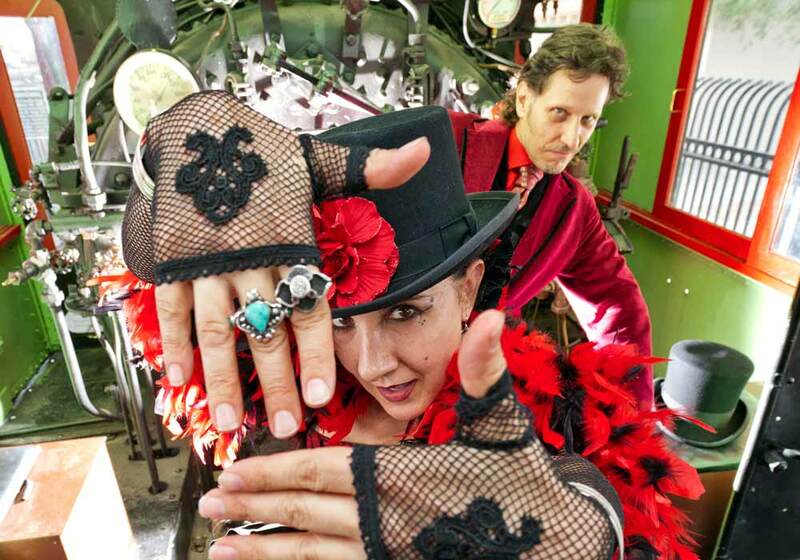 Carnival of Illusion gift certificates are perfect for family, friends, co-workers, or any other "Muggles" who would love fun, up-close magical entertainment. It's easy and you're a step closer to crossing one more item off that "to do" list! Perfect for birthday & anniversary celebrations. PHOENIX Gift Certificates or TUCSON Gift Certificates. ...and Internet Daydreamers! Here's a fun 75-second clip to peruse. Like our flavor? Then we'd love to have you at the show. Turn your daydream into reality and CHECK TICKET AVAILABILITY! Have questions about your nearest location? Best seats? Special events? 200 ~ To aid healing, savant, physician, and tutor, Sammonicus, advocates the use of an amulet inscribed with "Abracadabra" which becomes the chicken soup for the Iron Age. 1000 ~ The Chinese invent playing cards. "Pick a card, any card" becomes grounds for divorce. 1400 ~ Handpainted Tarot cards create a fury. Sadly, the all-powerful Magician card, with its the ability to bridge the gap between heaven and earth, forever takes a back seat to the cards of Fortune and Love. 1584 ~ Tattle-tale Reginald Scot publishes magic secrets in The Discoverie of Witchcraft, saving a few showoff prestidigitators from being burnt at the stake. 1610 ~ Bad boy playwright, Shakespeare, creates havoc with Protestant England and set-designers alike when featuring a conjuror as the main character in The Tempest. 1797 ~ Goethe completes Sorcerer's Apprentice inspiring Mickey Mouse (143 years later) to sport a wizard's hat and robe for his comeback role in Fantasia. 1814 ~ The oldest/most tired/cheesiest magic cliche is born when wise-guy Louis Comte pulls a rabbit out of his hat. 1856 ~ Napoleon orders the father of modern magic, Jean-Eugene Robert-Houdin, out of retirement to suppress a rebellion. The illusionist completes the task without a speck of dirt on his highly-starched cravat. 1926 ~ After stealing his idol's name, Erik Weisz AKA Harry Houdini steals the hearts of his fans to become the greatest magician/escape artist. The "Handcuff King" fails to escape death on Halloween. 1934 ~ The very first comic book superhero is born (in a tux). Mandrake the Magician was out saving the planet way before Batman, Spiderman or Superman put on tights. 1961 ~ The Magic Castle opens in Hollywood and invites the world's greatest magicians to perform. Roland Sarlot and Susan Eyed are not invited (they weren't yet born). 1969 ~ Without smoke, mirrors, or camera tricks, the first person walks on the moon. 1970 ~ Roland and his cousin perform at their grammar school nearly cutting off classmate's finger. For an ovation, the Mini Magicians get sent to the principal's office. 1972 ~ Young Susan performs her first magic trick found inside a cereal box. Family not amazed; she finishes breakfast and like a pro, goes into early retirement. 1989 ~ Not keen on being violated by magicians walking through, the Berlin Wall opens. Unites not only Eastern and Western countries but the entire European magic community. 1996 ~ Magic happens when Sarlot & Eyed first meet: Roland shows Susan a card trick, she vanishes. 1997 ~ J.K Rowling publishes her first book in the Harry Potter series spawning world-wide magic wand shortage. 2002 ~ With a handshake, the partnership of the century begins. Sarlot & Eyed combine the ancient arts of magic and dance to create Dance of Illusion. 2004 ~ The road of trial and error continues with cross country performances at county fairs, festivals, retirement centers, Veterans hospitals, children's wards, schools, busking, etc... Humiliation keeps the duo humble, hungry, and honing their craft. 2005 ~ Roland's sleight of hand delights the rich and famous as house magician at Miraval, one of the top resorts in the world to magically rejuvenate. Seeds of Carnival of Illusion begin sprouting. 2008 ~ The (not so) "Great Recession" hits. As the economy tanks, Sarlot & Eyed hire their first employee. The office hunkers down & goes into overdrive to create an intimate parlour experience. 2009 ~ Honored with the "Excellence in Magic" award in Colon, Michigan. Yes, Michigan has a Colon and it's the home of the oldest magic convention in the US. 2009 ~ The "Magic, Mystery and Oooh La La" of the Carnival of Illusion parlour opens its 30 seat boutique theater. Bearded-lady, Miss Harriette Houdini (their sometimes-trusty canine) makes her debut. 2010 ~ Invited the 1st time as "Featured Performers" to the "Mecca for Magicians" AKA the world-famous Magic Castle in Hollywood, California. 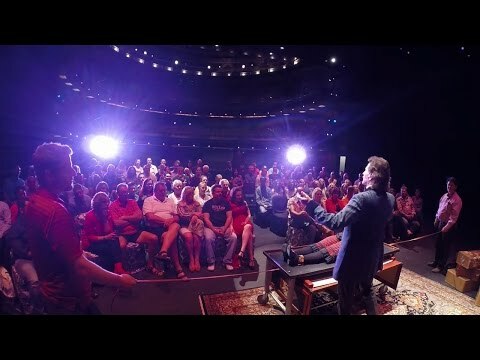 2012 ~ Headline performance before 1,000+ attendees at the national convention of the Society of American Magicians in Las Vegas. 2013 ~ Sick of hearing "get a room", Sarlot & Eyed plan their greatest and most daring magical endeavor. The marriage takes place on 1313, of course (January 3rd, 2013). 2016 ~ The longest-running Arizona theater show in history is Carnival of Illusion with weekly magical entertainment in one of their four 100+ seat boutique theaters! 2018 ~ Carnival of Illusion surpasses 500th show milestone, hip hip HOORAY. After thousands of performances throughout the years, Sarlot & Eyed continue to keep the art of magic alive. TODAY ~ YOU become part of magic history. 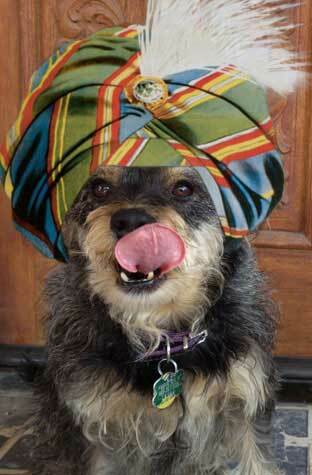 Our Genie predicts... "Your future is magical and filled with wonderful delights!" Bully for you! You've scrolled this far down and are still curious. You're OUR kind of peeps! We invite you to subscribe to our FREE VIP Newsletter and be the first to know when more mysteries are revealed.